Do you have information about any unsolved crime in Yavapai County? If so, call Yavapai Silent Witness at 1-800-932-3232. We don’t need your name, but we need your information and we always offer a cash reward when information leads to the arrest of a felon. Yavapai Silent Witness is offering a $10,000.00 cash reward for information that leads to the arrest of the suspect in the 2003 double murder near Bumble Bee, Arizona. 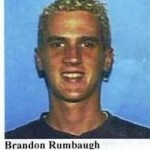 On Friday, October 17, 2003 Brandon Rumbaugh and his girlfriend Lisa Gurrieri left Scottsdale, AZ for an overnight camping trip north of Phoenix. The couple borrowed a 2000 white Ford F-150 pick-up truck and were to return the following day. When the couple did not return friends and family began to search. Later, the couple’s bodies were found shot to death lying in the bed of the borrowed pick-up. The pick-up was parked in a dirt parking area off of the Bumble Bee Road a short distance from Interstate 17. If you have any information about this double murder please call 1-800-932-3232 and remember that you never have to give your name! On April 23, 1999 the bodies of 20-year-old Rebecca Rubalcava and 39-year-old William Rodriguez, were found off of Hwy 93 between Wickenburg and Kingman in Yavapai County. Both victims had been shot in the head. Both of the victims were from the Phoenix area and had last lived in the area of 17th Avenue and Buckeye Road. If you have any information about this homicide you are asked to call Yavapai Silent Witness at 1-800-932-3232. You never have to give your name and a $10,000.00 cash reward is being offered. On June 13, 1987 Cathy Sposito was murdered while hiking on the Thumb Butte Trail west of Prescott. At about 07:00 that morning Cathy rode her mountain bike to the trail head and began hiking up the path. A short time later, Cathy was brutally murdered by one or more persons. Other hikers heard her screams for help, but no one could reach her in time. On December 22nd 2014 just before 6:30 AM, 70-year-old resident of the Prescott Country Club, Joyce Erickson, was walking in the 1000 block of Old Chisholm Trail when she was struck by a vehicle. Joyce succumbed to her injuries and was pronounced deceased at the scene of the collision. Detectives have been attempting to locate the driver of the vehicle who may not have seen Joyce who was wearing dark colored clothing and walking in the street when she was struck. A resident in the area of the collision stated a vehicle made a “U” turn in their driveway and then left the area. That driver did not remain at the scene nor did they contact police to explain their involvement. To date, Detectives have followed up on several leads and have reason to believe the vehicle is either a passenger car or a small Sports Utility Vehicle (SUV). The driver may have been leaving the Country Club area on the way to work. Due to the facts there was low lighting in the area and that Joyce was wearing dark colored clothing, the Sheriff’s Office believes this incident was not intentional. Detectives are in need of the public’s assistance in locating the driver of the vehicle for questioning. The vehicle in question again is presumed to be a passenger style of small SUV Vehicle which may have front and/or rear end damage. Detectives continue to gather evidence and are requesting anyone with information regarding the fatality to call the Sheriff’s Office at 928-771-3260 or Yavapai Silent Witness at 1800-932-3232. Callers to Silent Witness remain anonymous and become eligible for a cash reward when information leading to an arrest is reported directly via the Silent Witness hotline. Please remember any information, even if seemingly insignificant, can be important to detectives as they develop leads. Homicide (Cold Case from 1989)-Cash Reward Offered! Lisa Marie Wingo was just 24 years old when she became a homicide victim in January 1989. 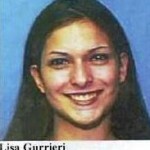 Lisa was an active, young mother of a one-year-old daughter. She enjoyed music and dancing and frequented local establishments that provided this entertainment. Ms. Wingo was last seen alive at her Phoenix residence the morning of January 9, 1989 and later reported missing to the Phoenix PD. Her body was found north of Lake Pleasant in Yavapai County on January 14, 1989. Death was by strangulation and prior to being discovered, possibly deceased for 3-4 days. At the time of Lisa’s disappearance, she was employed by Shanty’s Fish & Chips at Glendale and 55th Avenues. Ms. Wingo generally walked to the 27th Avenue bus, switched to the westbound bus at Glendale Avenue and continued on to her work. On January 9, according to bus drivers, Lisa did not ride either bus. Lisa was not opposed to catching a ride with someone, friend or stranger. With her openness and outgoing personality, there is no way of knowing whether she knew her assailant. Investigators believe Lisa Wingo was taken against her will from the area of 2700 West Augusta in Phoenix and left at the Lake Pleasant area. On the evening prior to her disappearance, Lisa told a friend she felt like she was ‘being watched’. Some traceable evidence was found at the crime scene and investigators have interviewed and cleared several individuals. Lisa’s perpetrator(s) is still out there. This Agency is seeking public assistance and information that may aid in an apprehension. Anyone having any information whatsoever is urged to contact Yavapai Silent Witness at 800-932-3232. Remember, all calls to Yavapai Silent Witness are anonymous. You never have to give your name. On November 1, 2009 at 10pm, Omar Solis left his home near 35th Avenue and Dunlap in Phoenix following a domestic disturbance. Solis was seen on foot leaving the area. His last known location was the Jack in the Box on N. 35th Avenue, Phoenix that same night. On December 20, 2009, hunters discovered a charred body in the Childs Power Plant area in Yavapai County. 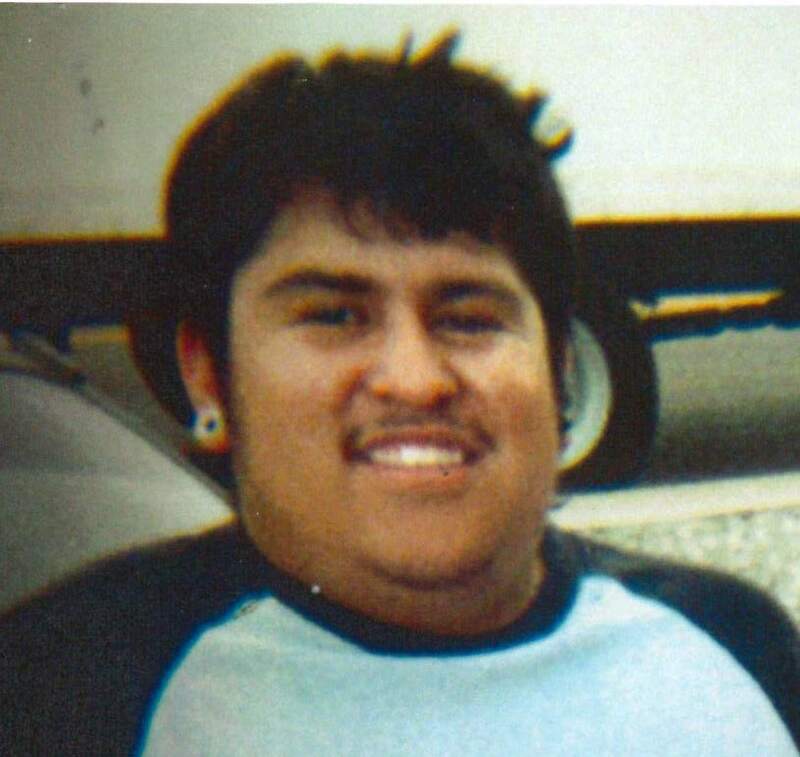 January 8, 2010, through dental records, the remains were officially identified as Solis’. Solis was married with a young child and worked delivering furniture. The victim was twenty-three years old at the time of the homicide. If you have any information on this cold case please call Silent Witness at 800-932-3232. Yavapai Silent Witness is offering a $1,000.00 cash reward and the City of Cottonwood is offering a $4,000.00 reward for information that leads to the arrest of the suspect/s in the April 2013 bombing of 3 commercial buildings in the City of Cottonwood and one in Sedona. Police say that on April 1, 2013 the bombers started with the Spirit Gas Station at 646 N Main Street in Cottonwood then they went to the City of Cottonwood’s Human Recourses building at 817 N Main Street and then finished up that day bombing the building located at 704 S Main Street in Cottonwood that was formally the Sunwest Bank. Police feel that the same people bombed the Sedona Recycles at 2280 Shelby Dr. in Sedona on April 16, 2013. Today there is a $5,000.00 reward being offered. $3,000.00 reward for suspect in stabbing death in Prescott. The Prescott Police are looking for 30 year-old Joel Medina-Ortiz in connection with the stabbing death of 22 year old Daniel Cook. Medina-Ortiz, who once lived at 802 2nd Street in Prescott, is a Mexican male who is 5’9″ and weighs about 180 pounds. The fight that resulted in Cook’s death took place on East Gurley Street in Prescott on October 28, 2006. 19-year-old victim Travis Riddle was last seen in October of 2005 in the Congress area and detectives have classified his disappearance as mysterious and likely involving foul play. Detectives have interviewed several possible suspects but are still seeking anyone who knew Travis or has information regarding his whereabouts in 2005. Travis frequented the Wickenburg and Congress areas and occasionally resided on Coleman Drive in Congress. An unidentified male body was found south of Seligman off of the Williamson Valley Road on May 19, 2004. The man had been burned beyond recognition and was the victim of a homicide. The victim was approximately 6’4″ and weighed about 200 pounds and had been wearing a Marlboro belt buckle. The body of Timothy Oleary was found under a bridge on Hwy 69 just south of Mayer on October 29, 2003. Oleary had been murdered and then thrown from the bridge. Oleary’s vehicle had run out of gas and he was walking along Hwy 69 to get gas when he was murdered. Oleary had been missing for several weeks before his body was found. 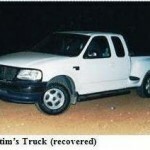 The body of Guy Stubbs was located in the forest off of Iron Springs Road west of Prescott on August 1, 2001. Mr. Stubbs was a victim of a homicide and was a transient to the area. On May 31, 1997 the body of Robert Bruce Watkins was discovered next to his vehicle on the east side of I-17 at the Badger Springs exit. Mr. Watkins was the victim of a homicide. Mr. Watkins was a building contractor living in Prescott at the time of his murder. YCSO detectives say that the killing took place during the daylight hours of May 31st. The Glendale, Arizona police department are investigating the murder of Jennifer Lueth and Diana Shawcroft. On May 24, 1996, Jennifer and Diana told a family member that they were going to walk to a nearby store and would be back in a little while. However, they never returned! On the day they disappeared Diana and Jennifer were seen at a mini-mart at approximatey 7 pm. According to the cashier, the girls bought cigarettes and soda. The cashier later saw a man pull up in a blue pickup truck. The girls conversed with the driver and then got in the truck and they all drove away. That was the last time the girls were seen alive. Three months later two men were hunting in a remote area of Yavapai County about 100 miles north of Phoenix when they came upon the human remains of two people that were later identified as that of Jennifer and Diana. Police now need your help in identifying the driver of the pickup truck and the suspect in this double homicide. Please go to the Glendale Arizona Police Department web site and click on their “Cold Case” site for more information. Please help these two families find the closure they need. Or you may call Yavapai Silent Witness and remember that you never have to give your name and a reward is being offered. Call 1-800-932-3232. On January 10, 1988 the body of William Wear was found in his home in Bridgeport near Cottonwood. Mr. Wear was a paraplegic and confined to a wheelchair. He was found a short time after someone had shot and killed him and then robbed him. On September 7, 1987 the body of Kristina Sue Reyes was found by motorists in a shallow ravine at the Sunset Point rest area off of I-17 in sorthern Yavapai County. Even though her remains were in an advanced state of decomposition, YCSO investigators determined that the cause of death was strangulation. 21-year-old victim Jean Candelaria was found shot to death five (5) miles west of Seligman off Highway 66 in the morning hours of July 26, 1977. She was last seen in San Bernardino, California. It was determined she was traveling with a friend to California from Albuquerque, New Mexico in the days prior to her death. 77-year-old victim George Gonterman was found stabbed to death in his home outside Yarnell, Arizona on the night of October 19, 1975. Investigators believe this may have been an attempted burglary. In the years prior to his death, Mr. Gonterman retired to Arizona from Colorado where he was a carpenter by trade. The Yavapai County Sheriff’s Office is asking for the public’s help in finding the person responsible for starting the Tenderfoot Fire east of Yarnell on June 8, 2016. Yarnell residents first saw the black plume of smoke just southeast of their town around 2:30 that afternoon. Fire crews were quickly on the scene but not before the fire destroyed 4 out buildings and 2 microwave towers on a nearby hill. The origin of the fire was just off of Mina Road about a half mile from Hwy 89 and south east of Yarnell. Plus, just a few days before this fire other small fires were detected and extinguished near the Stanton Road which is also southeast of Yarnell. If you have any information about any of these fires or if you saw anything suspicious in that area on those days please call Yavapai Silent Witness. Remember that you never have to give your name and a $5,000.00 cash reward is being offered. Yavapai Silent Witness is offering a cash reward for information that leads to the arrest of the suspect driver who caused a fatal car crash on April 10, 2015 that took the life of Sonya Teresa Coronado of Phoenix. It was shortly after 1 pm Friday, April 10th, when Ms Coronado was driving her silver Toyota SUV across from Sunset Point rest area on northbound Interstate 17. The suspect driver of another vehicle pulled up next to Ms. Coronado’s vehicle and made an obscene hand gesture, then abruptly drove into her lane. At that time Ms. Coronado was forced to take evasive action to avoid being hit by the other vehicle. According to DPS, her SUV went into the median and rolled numerous times. Ms. Coronado was medevac’d by helicopter to John C. Lincoln North Mountain Hospital where she passed away 14 days later from severe head trauma. Witnesses said that the suspect was a Caucasian male driving a silver single cab pickup truck. If you have any information about this tragic crash please call Yavapai Silent Witness at 1-800-932-3232. Remember that you never have to give your name and if your information leads to the arrest of the suspect driver you will be offered a cash reward.